The Lockheed L-188 Electra has been in service for decades as a short/medium range four-engine turboprop airliner. There are two commercial models of the L-188, the L-188A model and the L-188C model, which has additional fuel. There is also a military version, designated as the P-3A Orion. Other military variants include the P-3B, and P-3C. The minimum crew compliment for the L-188 and P-3 requires a Pilot, Copilot, and Flight Engineer. The designated pilot type rating for the L-188 and the P-3 is L-188. 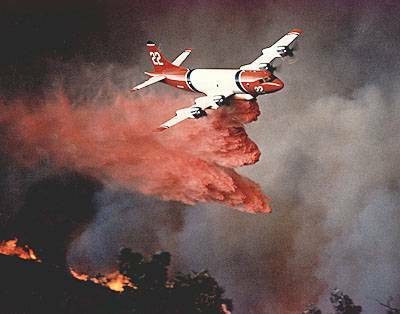 In recent years the FAA has issued a number of type certificates in the Restricted Category for P-3 airplanes that allow for two-pilot crew operations, for aerial tanker purposes, in support of U.S. Forest Service fire fighting operations. In 2003, Transport Canada issued Supplemental Type Certificate SA98-11 in the Standard Category for an L-188 two-pilot conversion. The FAA in turn issued Supplemental Type Certificate (STC) ST01836NY in the Standard Category for L-188 two-pilot operation. As a result, a Flight Standardization Board (FSB) evaluation was conducted to compare the flight deck configuration of the L-188 Standard Category STC with the flight deck configuration of the P-3 Restricted Type Certificate. The flight deck configurations, for all practical piloting purposes, are identical. This FSB Report is based on evaluation of the three-crew to two-crew information accumulated between the L-188 and the P-3 models. The L-188 and P-3 two pilot conversion, will hereafter be referred to in this report as the L-188/2 and P3/2. The purpose of this report is to specify FAA training, checking, and currency requirements applicable to crews operating Lockheed L-188/2 This report is intended to assist Principal Operations Inspectors (POI) in the administration of FAR 121 Training programs and to FAA inspectors. Designated Check Airmen, and Pilot Proficiency Examiners in the conduct of practical tests in the L-188/2. Relevant parts of this report (i.e., Type Rating Designation, training and checking, etc.) are effective when this report is approved by the FAA. Compliance with the Master Difference Requirements MDRs and other sections dealing with differences is required unless otherwise approved by AFS-200. In accordance with FAR Parts 1 and 61, the pilot type rating for the L-188/2 and P-3/2 is designated at the L-188. used are as specified in the Operations Specifications for each operator. Training and checking applicable to L-188 aircraft requires demonstration of a “no flap” approach. Completion of a demonstration in any L-188 variant suffices for any other variant. The MDR’s are depicted in the MDR table in Appendix 1. The ODR table is depicted in Appendix 2. (P-3)/2 variant, if applicable. The provisions of this report apply to programs for airmen who are experienced in FAR 121 air carrier or military operations and have experience in multi-engine transport category turboprop aircraft. For airmen not having this experience, additional requirements may be appropriate as determined by the POI, FSB and AFS-200. Numerous training programs for the L-188 are already FAA approved. Principal Inspectors of operators initially introducing an L-188 type, and where differences are not a factor, may approve such programs consistent with other programs previously approved by FAA for L-188 aircraft. For information regarding previously approved programs, FAA Principal Inspectors of other existing L-188 operators or training organizations may be consulted. Crew training for the L-188 and L-188/2 should address the unique operation of each type. Some examples are: in the case of the L-188/2, familiarity with FAR 91.211 (Supplemental Oxygen), FAR 91.313 (Restricted category operations), and systems training of flight operations for special purpose aircraft (forest fire fighting, anti-pollution dispersant spraying). L-188 crew transitioning to the L-188/2 should address the differences in normal and emergency procedures. In particular, control de-boost and smoke related emergencies should be addressed. (L-188/2), was demonstrated to the FSB during certification flights. The demonstration pointed out the importance of crew coordination during this maneuver. The only procedure used in the demonstrations caused the captain to turn control of the aircraft over to the first officer, move the seat to the full rearward position, and pull the appropriate “T” handle (s). Criticality of legible labels on the “T” handles for day and night operations was noted. L-188 variants and L-188/2 variants. L-188/2, P-3/2 aircraft every 90 days, or re-establish currency by a crewmember review of pertinent differences training material per operator’s guidelines. of AC 120-53 and this FSB report.